Behind The Seams - It's Show Time! 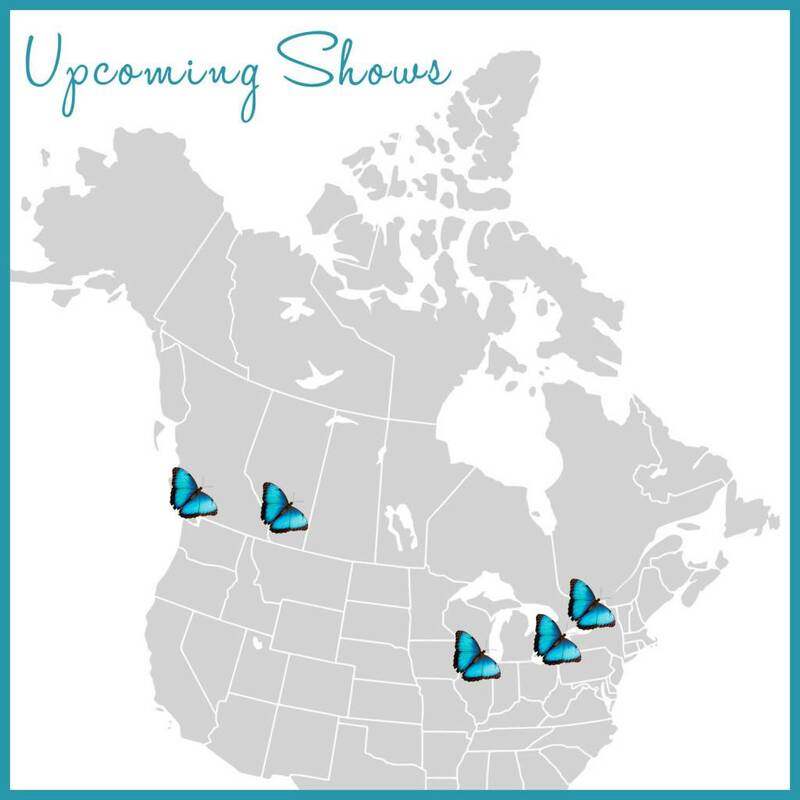 As we enter the holiday season, our show schedule really starts to ramp up and this year we are flying all over the map! From Canada’s beautiful West coast, traveling East and even dipping down into the US, we’ve got a jam packed schedule and can’t wait to take Lousje & Bean on the road again this year. We thought we’d give you a sneak peak behind the seams of all the work that goes into planning, prepping and setting up for these shows. Six months before the Holiday season, we are already planning our Fall/Winter line that we bring to the shows and the quantities of each piece that will need to be made to take to each one. Knowing how many shows we will be participating in and the amount of inventory we will need at each event (some shows are bigger and have larger attendance than others) is a big part of our planning and calculations. We need to be mindful of having inventory for our permanent store as well as the online shop in addition to all of these pop up show shops. Just like for our boutique in St. Catharines, we begin by tagging each piece, and organizing it on individual racks by size and style. Making individual racks for each show keeps us organized and allows us to go through each step for multiple shows at once, making the process more efficient! We work hard to maintain the same brand aesthetic and values at the shows that we have created in our shop. Our change rooms have plush carpeting for comfort and we make them spacious enough so our customers get that same boutique shopping experience. We love connecting with customers at each show and getting the opportunity to hear feedback about the line and ways to improve. Another great perk of the show scene is being surrounded by so many other like minded small shops that inspire creativity and imagination. Our minds are always working and during slow periods we often create new pieces and come up with new ideas. A few years ago we came up with our beloved Rope Necklaces and Fabric scarves. Made from fabric remnants, these pieces are lightweight, easy to pack and are one of a kind co-ordinating accessories to the pieces in our line, which makes them extra special. The creative juices flow at the show and create these pieces! We hope to see you out at one of the shows this season! Check the schedule here for where we will be and drop by to say hi. We'd love to hear what you think of the new pieces and if there is anything new you would like to see us create. While these events are a lot of work, they are a labour of love. In January we will definitely be ready for a break but, in the meantime, the show(s) must go on!